On Tuesday October 9th, 2018, a member contacted PLEA to advise that he had been told by his precinct commander he could not work out on his lunch hour as enumerated in Section 6-5 subsection E. of the MOU. This section states that precinct personnel are allowed to work out on their “Code 7” at precincts (approved facility) (must remain in work pants/boots). There are a few caveats to this policy, none of which were violated by the officer. As is often the case, there is sometimes more to the story than meets the eye. 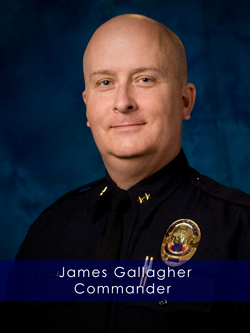 In this case, South Mountain precinct Commander James Gallagher is at odds with an employee. In order to flex a little managerial muscle, Commander Gallagher thinks the solution is to intentionally violate a Unit 4 members rights guaranteed under the contract (MOU). We say intentionally because not one, but two PLEA board members called him in an effort to get this ironed out. They told him that the officers right to workout on his lunch break was guaranteed under the contract and that to deny him the right to do so was a contract violation. Here’s the kicker, Commander Gallagher acknowledged that he was aware of this and knew PLEA would prevail if we formally grieved it but he was going to stick with his decision anyway. In fact he told one board member that the officer needed a “correction”. So in his mind the end justifies the means even if it means violating someones rights guaranteed under contract. What person in their right mind, Commander or otherwise, would make asinine statements like these? Isn’t this affront to the rule of law the same mentality we see with street level criminals we arrest every day? Imagine this scenario: an officer called into PSB for an interview and confronted with a policy violation tells investigators, “yeah I knew it was wrong to cite that guy on that extra civil traffic violation but hey, he pissed me off and needed to be taught a lesson so I cited him anyway. He needed a correction” “A guy on my squad told me not to do it and I knew I might get called to PSB but I said Hey, I’ll cross that bridge when I get to it.” We’re sure PSB would be super understanding if an officer came up with a Gallagher-esque statement like this because, well, if this line of thinking and mentality is OK for police Commanders then it should be OK for officers as well. The City and the Police Department should be extremely concerned when Police Commanders feel its OK to violate a contract between PLEA and the City. A contract the bears the City Managers name. Commander Gallagher is in essence, giving City Manager Ed Zuercher the middle finger. Needless to say PLEA will be filing a grievance on behalf of the affected member and an Unfair Labor Practice against the police department with Commander Gallagher as a named party. We will also send a formal complaint letter to City Manager Ed Zuercher and will be asking for a PSB investigation on Gallagher as well since the going rate for knowingly violating the MOU or MOA of any labor group is an 8 hour suspension. Maybe Chief Williams can find a spot for this dullard on Car-4.